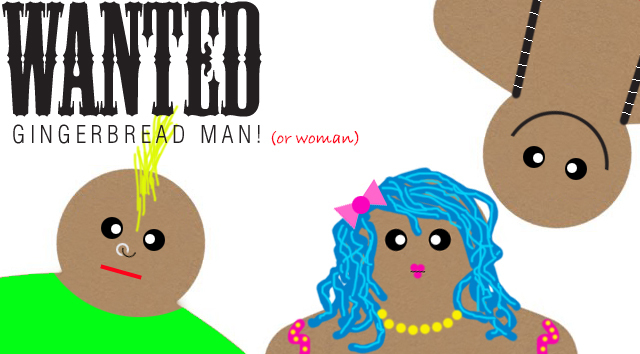 First, have kids design a paper gingerbread (man, lady, boy, girl, baby, etc.). They can decorate it with colored glue for icing, buttons for candy eyes, etc. 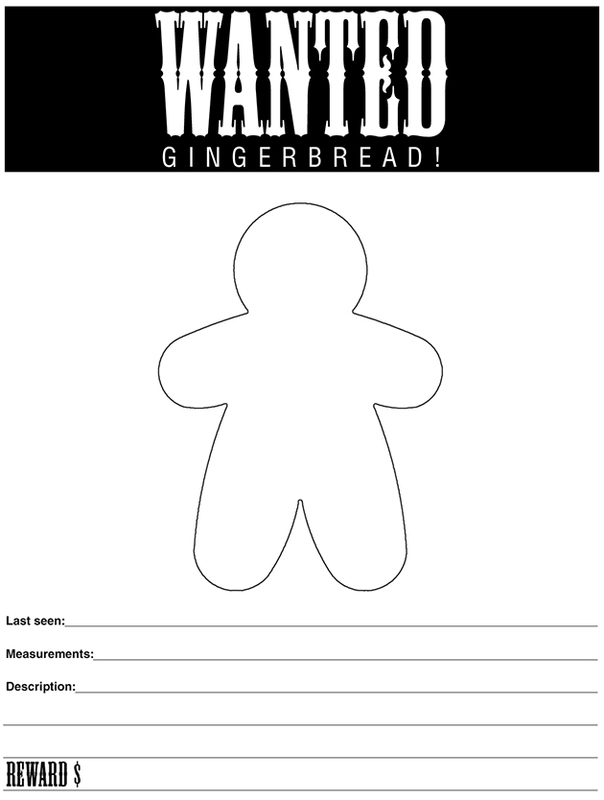 Next, have kids fill out a wanted poster for their paper cookies. Tell them to be very descriptive about what their cookie looks like. Click here to download! 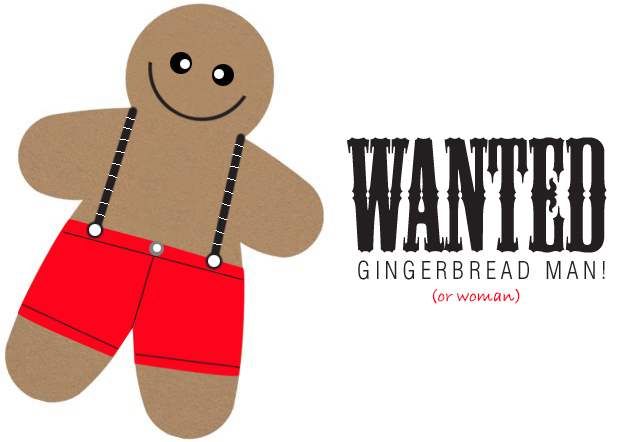 Then, hang the gingerbread cookies up around the room and collect their wanted posters. Pass the posters back out randomly, making sure each child doesn't have their own mini poster. Kids turn into mini detectives. They have to read the description on the poster and find the missing gingerbread cookie! How do I print this cute sheet off?